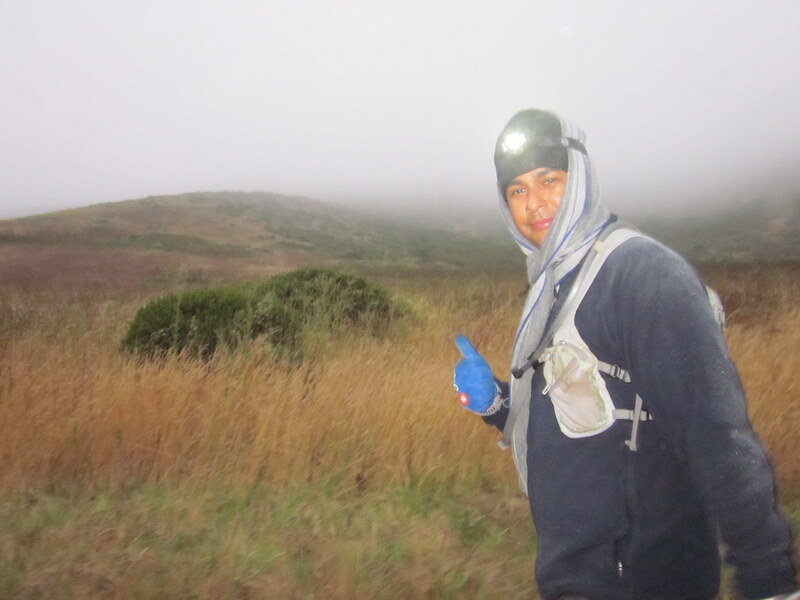 Along with four other Sole Runners, the Green Girl helped pace fellow Sole Runner, Hector, at the Headlands Hundred ultramarathon this past weekend. This was my first pacing experience and I wasn't sure what to expect. After studying the course description and reading online race reports, I struggled with my packing list. 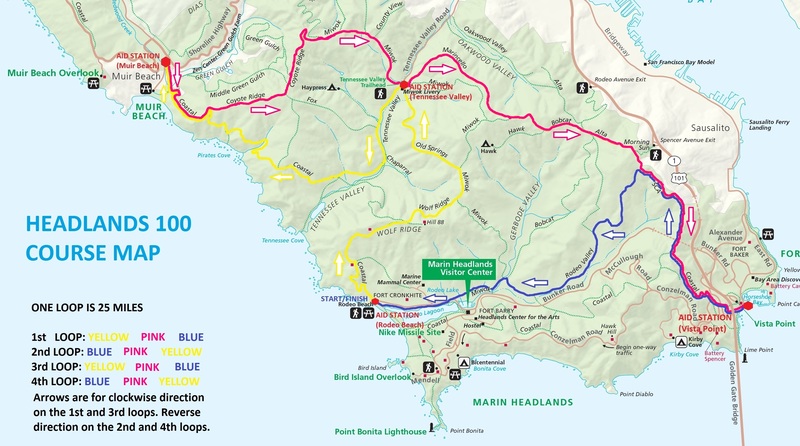 The Headlands Hundred course consisted of a 25 mile trail loop and alternated in a 'washing machine' manner so the runners would switch directions each time they reached the Start/Finish. 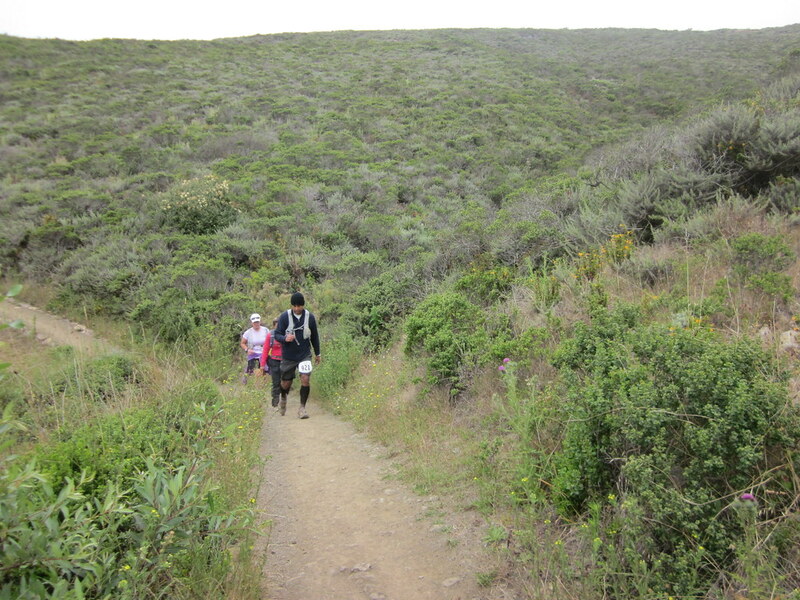 There were a total of four aid stations throughout the course: Rodeo Beach (Start/Finish), Muir Beach, Tennessee Valley, and the Golden Gate Bridge Vista Point. The runners had to complete the first 50 miles solo and then at the halfway point, their pacers could join them. 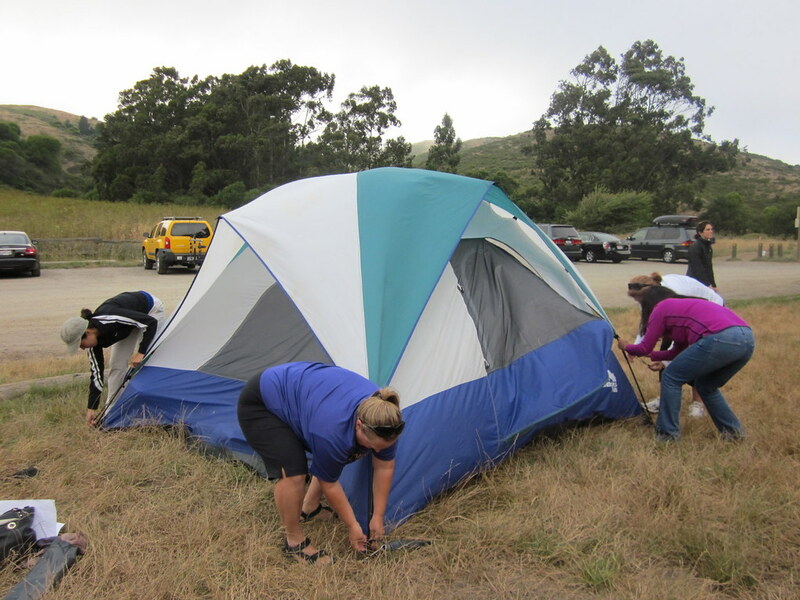 While we waited for Hector, we set up a tent at the Tennessee Valley aid station and then went and grabbed some dinner at the local Dipsea Cafe. Barb was in charge of logistics so she scrutinized the course map and constructed the Team Hector game plan. After we ate, we went to the hotel to start getting our stuff together for our respective legs before we headed back out to Rodeo Beach. When Hector arrived at the halfway point, we were all impressed by how good he looked. He stopped briefly to sip some warm soup from a paper cup, change his socks, and re-apply petroleum jelly to his feet before the first pacer, Natalie, headed out with him into the darkness. Barb, Michelle, and I headed back to the hotel to try and get some shut eye while Kerri waited for Hector and Natalie at Muir Beach. 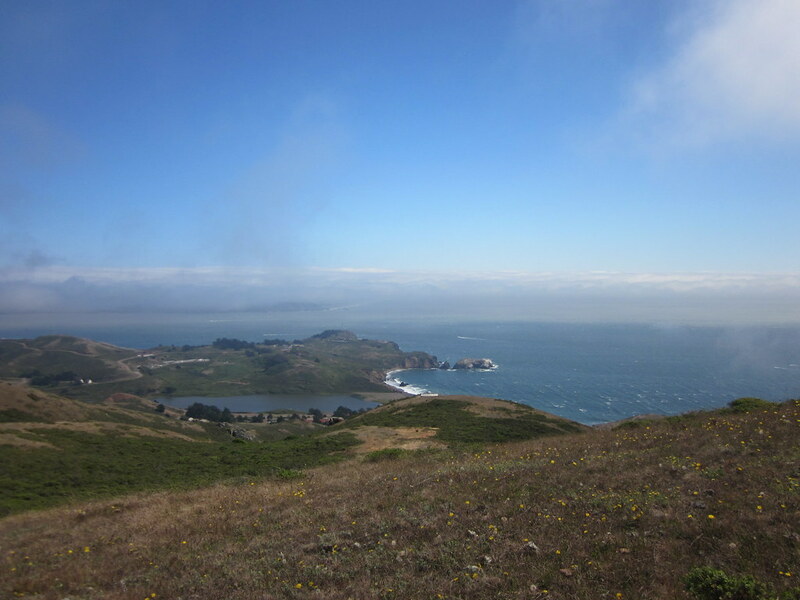 Once Natalie returned to the hotel from her leg, I headed out to Vista Point. I ultimately decided to go with capri leggings, a thermal top, Zensah Arm Sleeves (for additional warmth), my Sole Runners t-shirt, a lightweight hoodie, and a windbreaker. I taped my right arch for extra support and slipped on my Dirty Girl Gaiters. Pacers are not supposed to eat or drink from the aid stations so I knew I had to have everything on me to sustain me. I had 2 liters of water in my Nathan Intensity and 8 ounces of sports drink in my Nathan Sprint. I had 2 Soyjoys, 2 Honey Stinger Organic Waffles, 2 packs of orange caffeinated Clif Shot Bloks, and a Trader Joe's squeezable apple sauce. I tried my best to stay warm in the car while I waited for Hector and Kerri. I napped and got out of the car to stretch my legs from time to time. When they arrived, Hector quickly drank some soda and then we headed out. The fog was damp and heavy but we knew the sun would be coming up soon. I was immediately impressed by how well he was doing. He was in good spirits and looked strong. We ran through a section that Hector had nicknamed 'the rainforest'. The ground was sopping wet and we had to really watch our footing to avoid slipping. Running through puddles was unavoidable. It was comforting to see some light coming through the fog. We really picked up the pace through a flat, grassy field. We just made the 24 hour cut-off back at Rodeo Beach. Instead of Kerri taking the next leg, a friend of Hector's, Elva, arrived and she offered to run with him back to Vista Point. Another pacer, Janet, also joined them. 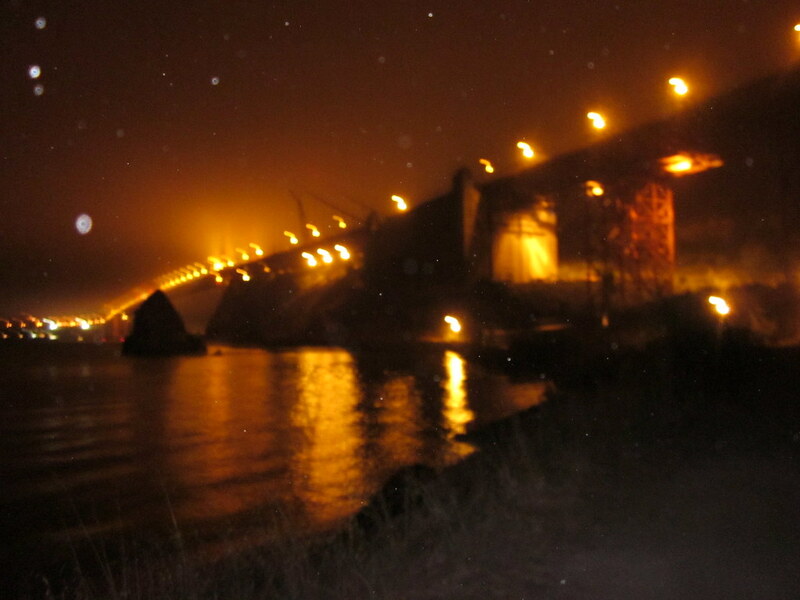 I was dropped off at Tennessee Valley where I did my best to stay warm for the next few hours. 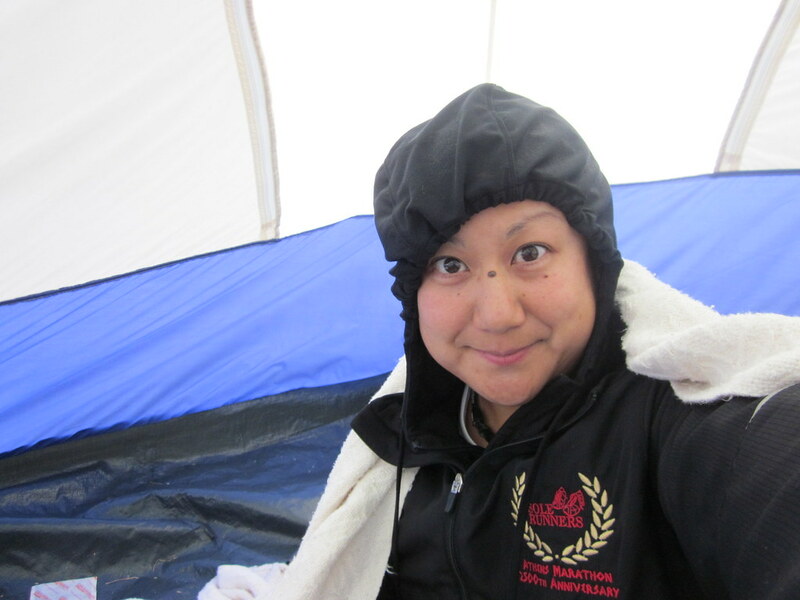 Every once in awhile, I'd get out of the tent and jog around the parking lot. 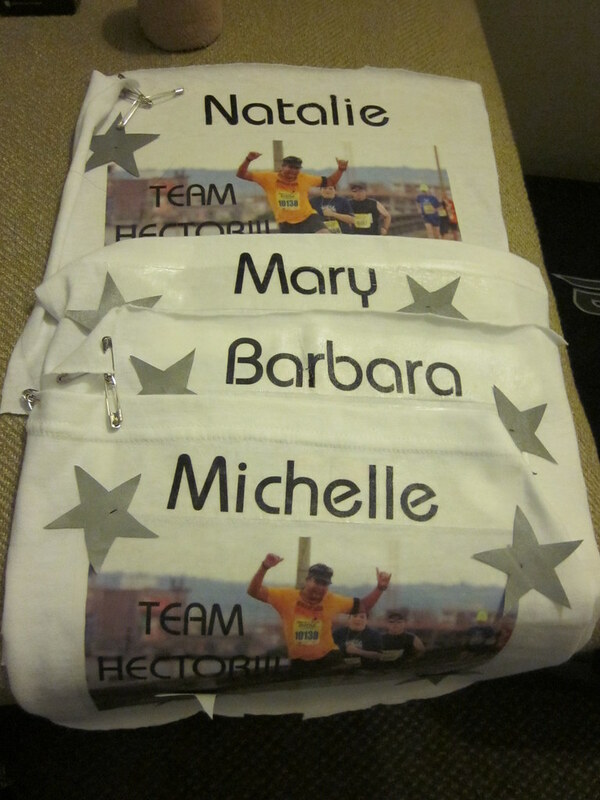 Eventually, Barb, Kerri, Michelle, and Natalie joined me and we all waited for Hector. Team Hector cheered loudly as Hector, Elva, and Janet arrived. Hector made a quick pit stop before I joined him on the next leg. The fog finally began to clear and it warmed up considerably. I tucked my compression sleeves in the hydration vest pouch, tied the hoodie around my waist, and slipped my windbreaker into the elastic bands across the back of my pack. Significant portions of the course were really challenging - I'd never run on such technical terrain before. I mentioned I would probably not be able to keep up on the downhills so I let them know they could go ahead and I'd catch up with them. I've always been a strong uphill runner but really weak downhill. 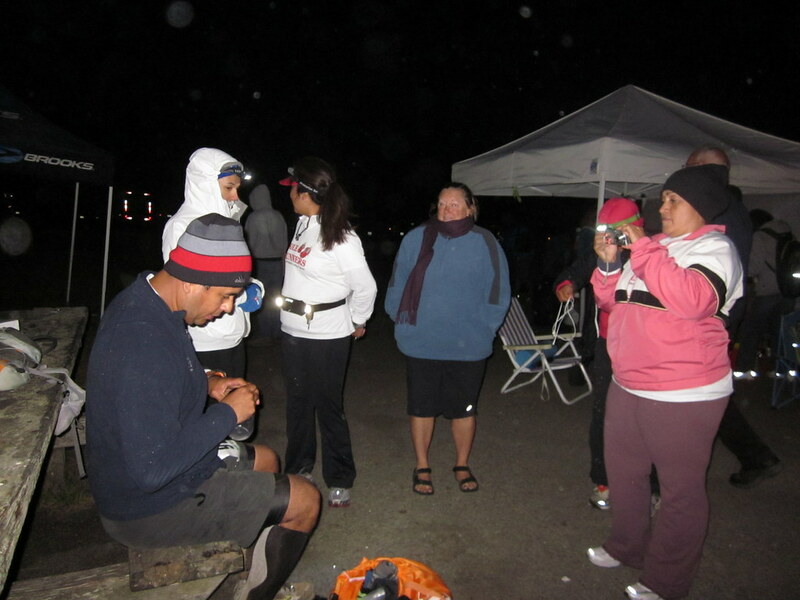 Hector commented that I needed to engage my core and Elva worked with me as I went down some fairly steep hills. Before I knew it, I was flying down hills! I was absolutely giddy with excitement. 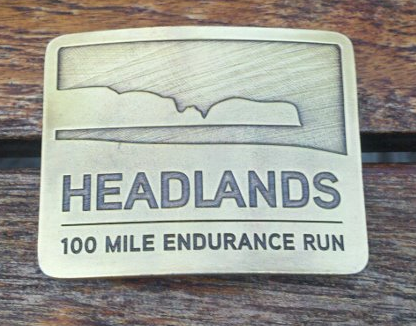 I kept telling them I was a whole new runner - all thanks to Hector's Headlands Hundred. I can honestly say this was the most challenging thing I have ever done in my life. I have a tremendous amount of much respect for Hector not only as a runner but as a human being. He is truly an inspiration to me. 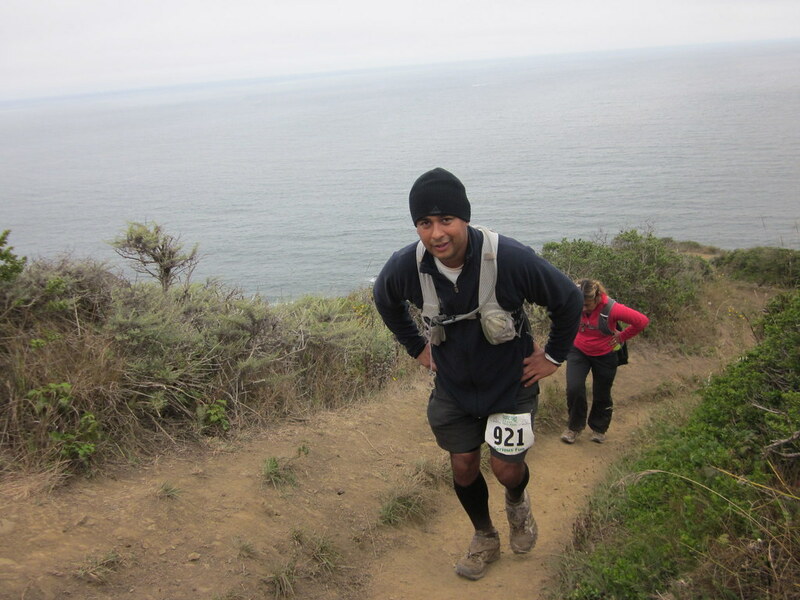 It was a team effort and I am proud to say that Team Hector got our man to the Finish Line of the Headlands Hundred! That looks really awesome. And how could you have not been prepared? You had a gear list that took into account the possibility of a nuclear winter. Wow didn't know how all that worked, interesting. How long was your running part? I ended up running a little over 21 miles. That's just so cool! Great job! Hooray for Hector and the other Sole Runners. Your running group sounds really supportive and wonderful. AMAZING! Congrats to Hector!! What a challenge! AWesome! Congrats to your friend and way to go on doing a great job pacing. Great job on a great job!! 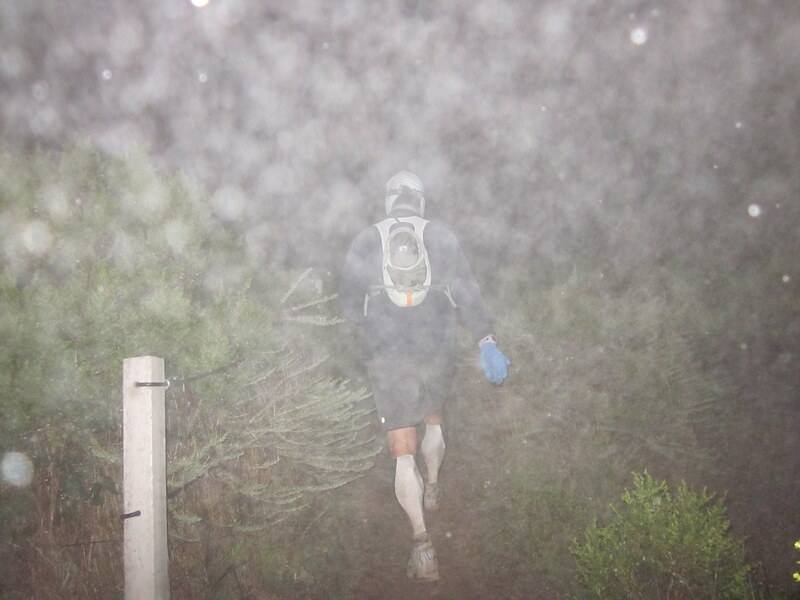 The people who pace with ultra runners are so invaluable. You guys must mean the world to Hector! This is so great! Well done to all of you and congratulations to Hector! I've paced many times and have been paced many times so I know what this means to all involved. As you say, a true team effort to get that athlete home. Running is just awesome! Wow! ... great job ... and running 21 miles! Wow! That sounds awesome! I cannot imagine carrying 2+liters of water on me. That would be heavy. Great job to you and Hector. That is seriously an amazing accomplishment! Good job! I Love running out there! Nice work. Enjoyed seeing Hector finish. How did your PT tendon behave? Wow! That is impressive! Well done!